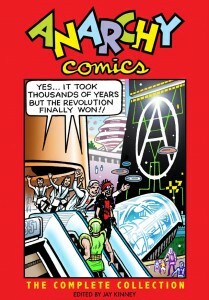 Anarchy Comics: The Complete Collection, edited by Jay Kinney, brings together all four issues of the underground comic published between 1978-1986. In it are the comic stories of thirty contributors from the U.S., Great Britain, France, Germany, Netherlands, Spain, and Canada. Kinney’s fanzine art in years gone by compels a mention – as does Steve Stiles work in the book. 60’s counterculture, supposedly political, mostly concerned itself with hedonism and self-focused individualism, as did the underground comix it engendered. Anarchy Comics, to which all the scene’s most artistically and politically adventurous creators gravitated, was an almost singular exception. 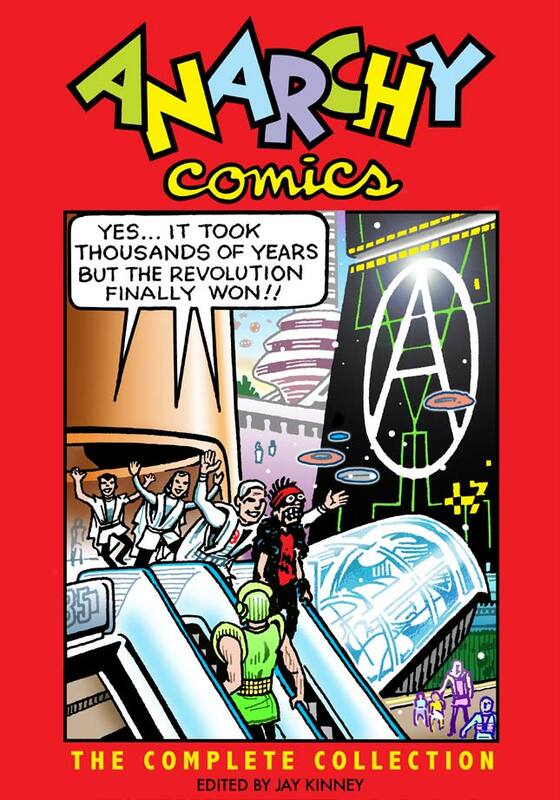 Combining a grasp of Anarchy’s history and principles with a genuinely anarchic and experimental approach to the form itself, Anarchy Comics represents a blazing pinnacle of what the underground was, and what it could have been. A brave and brilliant collection. It’s available from PM Press for $20. This entry was posted in Like Show Business, SF & Fantasy Art and tagged Jay Kinney, Steve Stiles by Mike Glyer. Bookmark the permalink. The release date is given as 15th of December 2012. I sense anarchy will be in competetion with the end of the world.